Vietnam’s startup airline Bamboo Airways has completed a long overdue maiden commercial flight which will now see competition in South-east Asia ramp up. The flight from Ho Chi Minh City to Hanoi Noi Bat International Airport carried 5 crew and 180 passengers after securing an Air Operator Certificate from the Civil Aviation Administration of Vietnam earlier this month. The airline’s launch flight has been twice postponed. Boeing and United Airlines have confirmed that the carrier ordered 24 additional 737 MAX jets and four more 777-300ER (Extended Range) airplanes last year. The US$4.5 billion order, according to list prices, was booked as unidentified on Boeing's Orders & Deliveries website. the German Federal Aviation Office (Luftfahrtbundesamt, LBA) to produce components using additive manufacturing. Liebherr has since been printing class 2 and 3 titanium serial parts, delivering them under EASA Form 1. On January 16, Embraer presented its preliminary forecast for 2019 and 2020 at a meeting with investors at the New York Stock Exchange. For 2019, Embraer expects to deliver between 85 and 95 commercial jets, 90 to 110 executive jets, including light and large jets, 10 A-29 Super Tucano aircraft and two multi-mission KC-390 aircraft. Total consolidated revenues should be between US$ 5.3 billion and US$ 5.7 billion. The Company expects to achieve a consolidated EBIT margin of breakeven (approximately zero) for the year 2019. It is important to highlight that 2019 guidance includes potential costs and expenses associated with the creation of the Commercial Aviation JV in a strategic partnership between the Company and Boeing, under the terms of the associated material facts published by Embraer. During the event in New York, Embraer also presented its guidance for the year 2020, the first year after the potential closure of the operation creating the strategic partnership between Embraer and Boeing in Commercial Aviation, as mentioned above. 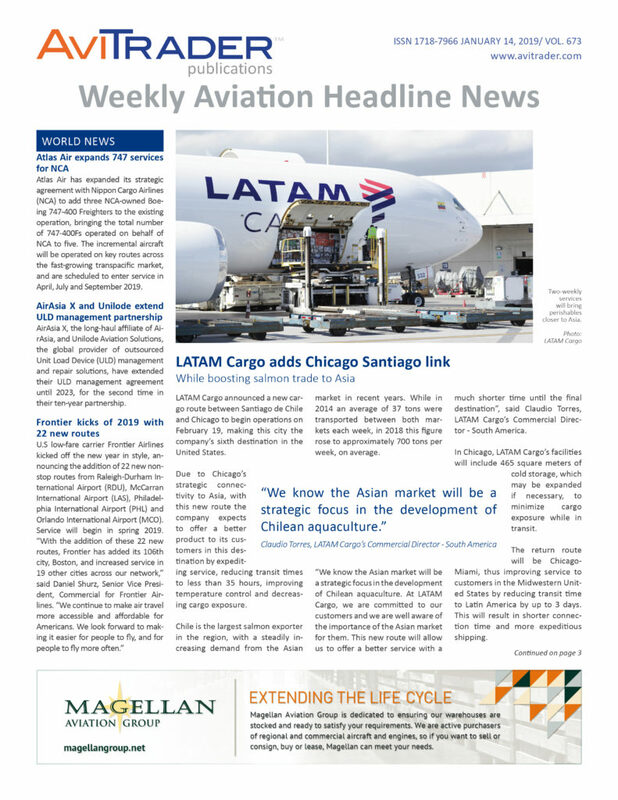 The guidance presented for 2020 includes 100% of the expected results of the Executive Jets and Defense & Security segments (and the results of their respective services and support businesses) and exclude expected financial results coming from the 20% stake Embraer will have in the Commercial Aviation JV in partnership with Boeing. Embraer expects to have net revenues of between US$ 2.5 billion and US$ 2.8 billion, EBIT margin of between 2% and 5% and roughly breakeven free cash flow for the year 2020. This credit facility provides Aireon with the resources to fund various company initiatives and to continue to pay Iridium for the costs related to the integration, launch and hosting of the AireonSM payload on each of the 81 Iridium® NEXT satellites. The agreement was signed on December 21st, 2018. This announcement comes just days after the final launch of Iridium NEXT satellites and their Aireon hosted-payloads. Acropolis Aviation, the UK VVIP charter operator, has accepted the first Airbus ACJ320neo on January 16th, at Airbus' Toulouse, France, headquarter. Powered by CFM LEAP-1A engines, the aircraft flies on to Basle, Switzerland where cabin outfitting will immediately commence by AMAC Aerospace. Its new Alberto Pinto cabin interior, which meets Acropolis‘s unique specification, will be installed over the coming months. West Star Aviation has named Tommi Krell Director of Corporate Communications. Krell will be responsible for managing internal employee communications channels, as well as assisting Human Resources with enhancing and expanding corporate recruiting strategies. Krell has 5+ years of aviation marketing and communications experience, previously holding various marketing positions with Jet Aviation. Prior to that, Krell held positions at CBS Radio as an Account Executive and Lindenwood University as Campus Director. Additionally, she holds both a BA and MBA in Business Administration from Lindenwood University. TurbineAero, a portfolio company of The Gores Group, has acquired the APU piece part repair product line (RPL) from Triumph Aviation Services Asia. Effective immediately, the integration will take place in TurbineAero Asia’s new Thailand based 80,000 ft² facility which will house up to 250 employees and will handle high technological testing, maintenance, repair and overhaul activities for aircraft components and systems for our worldwide customers, including APU MRO, LRUs and APU part repair. Yoel Arnoni, founder and principal of aircraft specialty companies Av8 MRO, Av8 PMA and Av8 AOG has announced the consolidation of capabilities and resources between these companies under one overarching brand - The Av8 Group. The organizational move simplifies the relationship between the companies, as well as providing a unified brand for communication as related capabilities and services continue to expand. The consolidation will combine the capabilities and resources of the individual Av8 units. 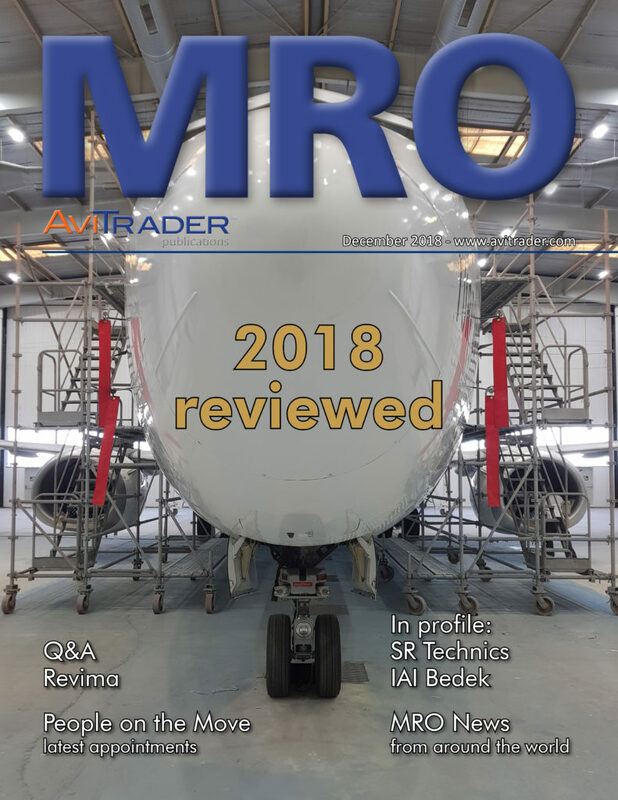 Av8 MRO, an FAA and EASA-approved Repair Station known for Hawker landing gear overhaul and repair with unprecedented lead times, pricing structures and repair specification approval, will potentially expand their scope to include additional airframes in the near future. Av8 PMA specializes in the design, certification and manufacture of hard to find, out of production or under-supported aircraft parts. Using their FAA Parts Manufacture Approval (PMA), the company has quickly grown these capabilities and solidified themselves as a true resource by adding a dedicated engineering facility and team that includes an on-staff FAA-DER. 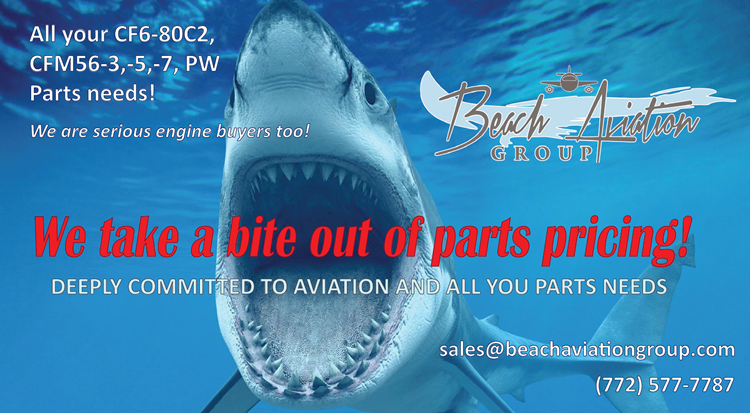 The newest of the units, Av8 AOG, provides OEM and PMA parts sales and distribution, expedited parts services, managed repair services, inventory acquisition and liquidation, and much more. The new parent brand, The Av8 Group, brings all of these capabilities and services together, yet allows each of the units to provide specialized, in-depth and strategic services to a broad base of customers. In conjunction with the new branding, the Av8 Group has launched a new website that envelopes each segment, providing specific details of each of the services offered through Av8 Group. range of capability under one roof, with one common mission," said Yoel Arnoni, Chief Executive Officer, Av8 Group. "It was essential that with our continued growth that our overall messaging could communicate the synergies available between our three units," Arnoni continued. Singapore Technologies Engineering (ST Engineering) reported that its Aerospace arm secured new contracts worth about S$450 million in the fourth quarter (4Q) of 2018 for services including maintenance and modification for wide-ranging aircraft parts from the airframe to components. Ardian, a private investment house, said that it is in exclusive talks to acquire a majority stake in Revima, a leading MRO (Maintenance, Repair & Overhaul) solutions provider for aircraft equipment, from private equity firm, Argos Wityu. Following the transaction, Olivier Legrand, President of the Group, and Argos Wityu will reinvest alongside Ardian. This transaction is subject to approval from the antitrust authorities as well as the opinion of the works council. Lufthansa Technik AG has developed the first robot for fully automated tests of cockpit controls. The test procedure is called RoCCET, which stands for Robot Controlled Cockpit Electronics Testing. In the future, RoCCET will be used to check the functionality of LED lights and switches on the basis of concrete, standardized measurement data. The robot-based procedure is currently in the integration phase. Tallinn based Total Technical Care partner Magnetic MRO completed a teardown project for an Airbus A320 aircraft which will be used for fight against terrorism in Germany by special forces. Magnetic MRO obtained the aircraft after an emergency landing in Tallinn at the start of 2018. In cooperation with a Netherlands partner organization XTRAPartners the airframe found its way to the German Bundeswehr for training of its special forces.